Falling or flying objects are a common hazard faced by construction workers. In fact, our Boston construction accident lawyers note struck-by accidents are one of the four deadliest dangers found on construction sites, according to the Occupational Safety & Health Administration. More than 25 percent of all deaths in construction are the result of struck-by accidents, which also account for about 10 percent of all occupational deaths. Injuries from falling or flying objects can range from bruises and cuts to fractures, serious wounds, permanent internal damage and death. In a recent construction accident in New York, the defendants attempted to argue that the object that fell on the worker’s hand was not a fully-completed “form,” meaning it was not subject to state safety regulations requiring that it be appropriately secured. The case, Morris v. Pavarini Constr., was reviewed recently by the New York State Court of Appeals, and provides an excellent example of how defendants will attempt to reduce liability in these cases. The incident occurred in July 2007. 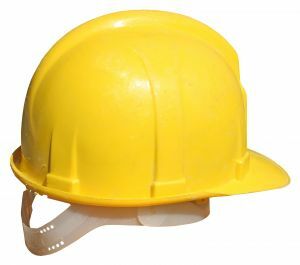 The plaintiff was a carpenter who was working at a building construction site in Manhattan when a large, flat object fell on his hand, causing him to suffer serious injury. While normally work-related injuries might fall under the umbrella of workers’ compensation, the plaintiff in this case sued several third-parties for negligence, including the construction site manager and owner of the building. The case had been through extensive legal wrangling before it made its first appearance before the New York Supreme Court. The plaintiff appealed an earlier ruling holding that the object that fell on his hand wasn’t a “form.” A “form” in this case would be a mold used to shape pieces of concrete. There is no question that a completed “form” would have been secured differently than the object in question. The defendants countered that the object wasn’t subject to that regulation because the mold was not complete. Being unfinished, they argued, the object didn’t have to be tied down according to state regulation. The case went to the New York State Court of Appeals, which held that a summary judgment should not have been granted based on the evidence on record. The case was then bounced back to the state supreme court for a framed-issue hearing on whether the regulation sensibly applied to anything other than completed forms. Both sides introduced expert testimony regarding how the forms are made and how they should be properly secured. The supreme court granted the defendants’ summary judgment, but then the appellate division reversed on a matter of law. Even if the material didn’t meet the definition of the statute to the exact degree, the legislative intent of the law was clear. The case was remitted back to the lower court for further proceedings. The carpenter will now be given the opportunity to have his case heard by a jury.